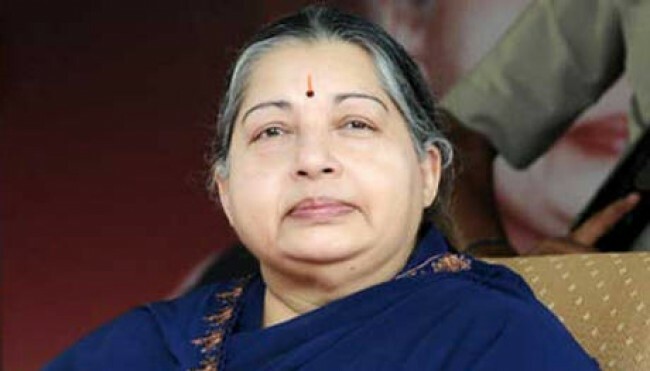 Chennai, Dec 6 (IANS) Tamil Nadu Chief Minister J. Jayalalithaa died here on Monday night after battling for life for 74 long days, triggering immense grief across the sprawling state. She was 68. 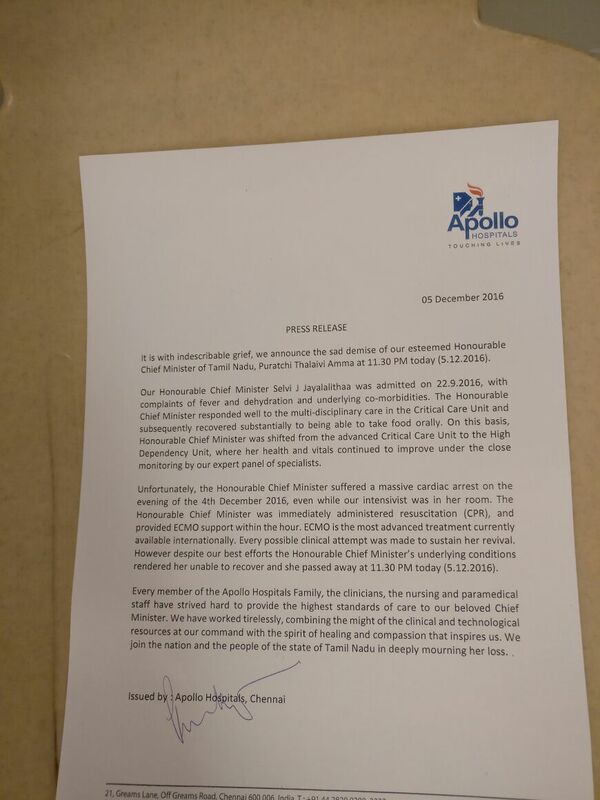 “It is with indescribable grief, we announce the sad demise of our esteemed Honourable Chief Minister of Tamil Nadu, Puratchi Thalaivi Amma at 11.30 p.m.,” Apollo Hospitals said in a brief statement. Jayalalithaa’s body will be kept at the Rajaji Hall for people to pay their respects, said the AIADMK, which the actor-turned-politician headed for decades. As the nation mourned her death, the Tamil Nadu government declared seven days of mourning. Schools and colleges in the state will be closed for three days. 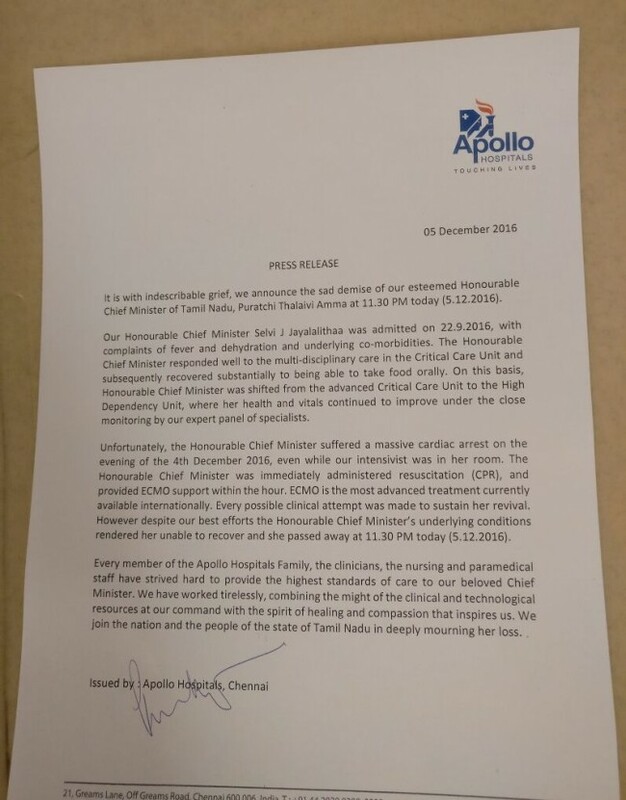 Jayalalithaa was admitted to the Apollo hospital on September 22 with fever and dehydration. She suffered a cardiac arrest on Sunday evening, and her condition became critical. President Pranab Mukherjee and Prime Minister Narendra Modi led the nation in paying homage to Jayalalithaa. “One of India’s most charismatic and popular leaders, Jayalalithaa was a visionary and able administrator,” Mukherjee said. Bihar Chief Minister Nitish Kumar described her passing away as “very saddening”. He announced a day’s state mourning in his state.